Tag: Anchor Strap webbing | Hütter Safety International B.V. 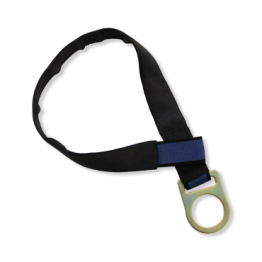 The Anchor Strap webbing (0,91 / 3ft) is designed for use as a temporary anchor, made of reinforced webbing and a ring on one end. The Anchor Strap webbing (1,22m/4ft) is designed for use as a temporary anchor, made of reinforced webbing and a ring on one end. Designed for use as temporary anchorage.